2015 Acura NSX is mentioned to be powered by V6 engine with revamps done to its powertrain for more exciting driving experience. The horsepower is said to be more monstrous too. If you are eager in waiting for the new 2015 Acura NSX, you probably may want to take a look at this new information related to 2015 Acura NSX specification, especially for its engine. 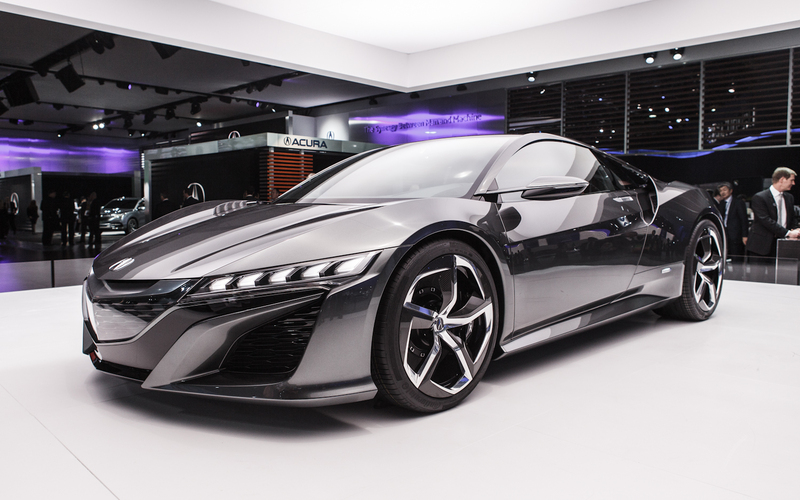 Yes, compared to its predecessors, the new Acura NSX for 2015 model year has been revamped not only for its exterior styling, which features the new paint job. The second generation of this supercar also has been renewed for the invisible part: under the hood. The updates reveal that the new Acura NSX will still be powered by a powertrain consisted of three motors with active torque vectoring in addition to regenerative braking. However, the revamps allow the powertrain’s several key components to make it possible in reorienting its V6 engine into longitudinal position or configuration. Well, it is not merely about reorienting, as this change thus may allow the supercar to enhance its dynamic balance in addition to its packaging. The changes also include the wider V-angle for its V6 engine. However, it is still unknown the displacement. It is mentioned that the displacement will be around 3.5 and 3.7 liters. Apart from that, it is also said that the new engine will be matched by both direct injection and newest VTEC technology along with dual turbochargers. This way, the 2015 Acura NSX driving experience will be totally exhilarating! Well, speaking of enjoyable driving experience, especially since it is a supercar we are talking about, we undoubtedly expect for the larger horsepower. Even though there is still no information related to total output made available officially yet, it is mentioned that the power may exceed 500 horsepower. For the gearbox itself, the 2015 Acura NSX is said to be equipped with twin-clutch transmission with more than just six gears. Such great news for any supercar fan, isn’t it?